It is Paczki Time again and this year I am on Weight Watcher, but I am still going to have one. Weight impact of the Mega-Doughnut, Fat Tuesday mid-west tradition is 13 points (or more). To put that into a weight loss perspective, the low end of the daily point range for weight watcher is 26. My daily points is 45 because of height/weight. Last year I got aced out of Zingerman’s first annual Paczki offering. I think they massively under produced making 50-100 dozen. 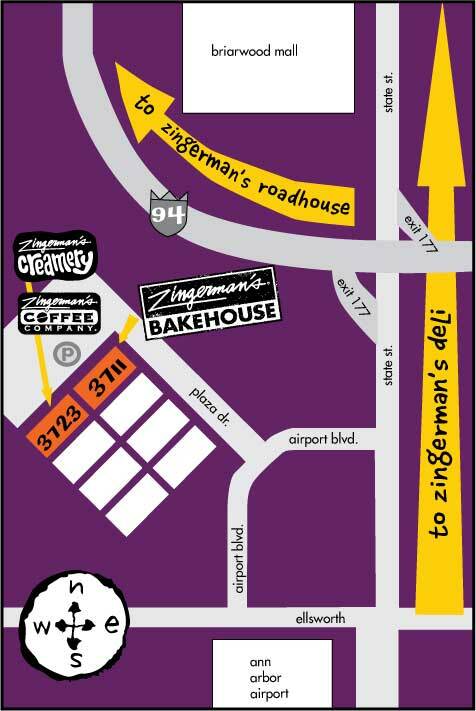 This year I am given Zingerman’s a try. They are not as big as the standard Paczki, Cher, the baker at Zingerman’s told me. The weight loss target is different for all, but I imagine that whatever the number, it is large on our minds. My target is 75 pounds, so I thought I’d have a little fun with it and make yet another list of stuff that also is 75 pounds to put it into prospective. It is another big weight loss weigh in. It is the first time I am under 230 in some time. I see each 10 pound block as a milestone. The next one will be 220. Of course, I can still gain. I gained for two weeks in a row and then loss five pounds twice. I am four weeks into kmy weight loss program. After two weeks of slight gains, I am averaging on the low end of an reasonable weight loss, a little over 1/2 pounds a week. I guess I was hoping for a quicker weight loss boost in the beginning (first month) considering that I am so over weight with some basic changes like no soda, no candy (vending machine snacks), and more fruits and veggies making a bigger weight impact. I had a little excitement my second week with a five pound loss result, but most of that has been gained back. The truth is that I have not been exercising much yet on my program and I am far from perfect with filling out all of my points. All this means is that I need to step it up. At first glance I thought that a 2.5 pound weight loss in a month was small potatoes, but now that I think about it it is not. If someone told me that 2 years ago, I would lose 1/2 pound a week on average for 100 weeks, I would have been psyched. About two years ago, was weigh under 220, so a 1/2 pound weight loss could have meant that I would have been at or near my goal weight. Of course I did not lose 1/2 a week. I actually gains about 15 pounds in the last two years, which is where I am at today. 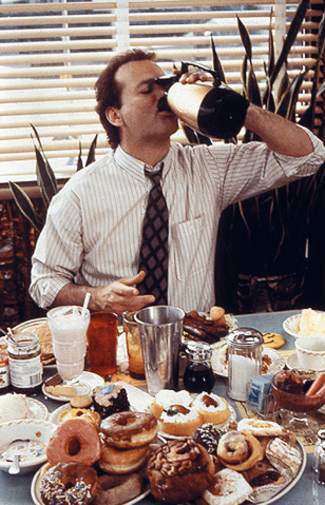 Today is Groundhog Day, which will be forever remembered by the Bill Murry comedy with the same name. This Movie has a certain appeal for those on weight loss program. The movie is about weatherman Phil Connors (Bill Murry) who find himself in a time wrap, repeating the same day (Groundhog Day) forever. Maybe, many people on a weight loss program would love to repeat the same day, day after day and eat what they want with no consequences. The reality is that food choice and the quantity of consumption do have consequences. My goal is to lose 70-75 pounds, so that got me thinking about what weighs 75 pounds. OK. Last week I had a five pound weight loss. I was happy, but I took it as unreasonable (dilussional) and now I see that weigh in as possibly unrealiable. I had about the same clothes on and I eat about the same this week, maybe even less than the week before. The five pounds in one week seemed odd because I had not really been exercising yet with my program and even if I had it would still be wierd. I am not training to run a marathon. This week, I got on a different scale at Weight Watchers. There are four scales at the front desk. And I wondered if the scales are rid different, but I did not want to be one of those people who blames the scale or questions the program. No one complains when they lose weight if that scale is wrong, right? But I do think something is off. Either last week weigh in was bogus or this weeks was, but I am so new with this that I cannot say. My weight loss for three weeks is 3.2 pounds, which seems more reasonable. I am still in a good average of over one pound a week. With this said, I do question my weigh in. Is there a difference from scale to scale and if so, why weigh in at WW at all if the results can vary? I can always weight in at the gym on the same scale every week.